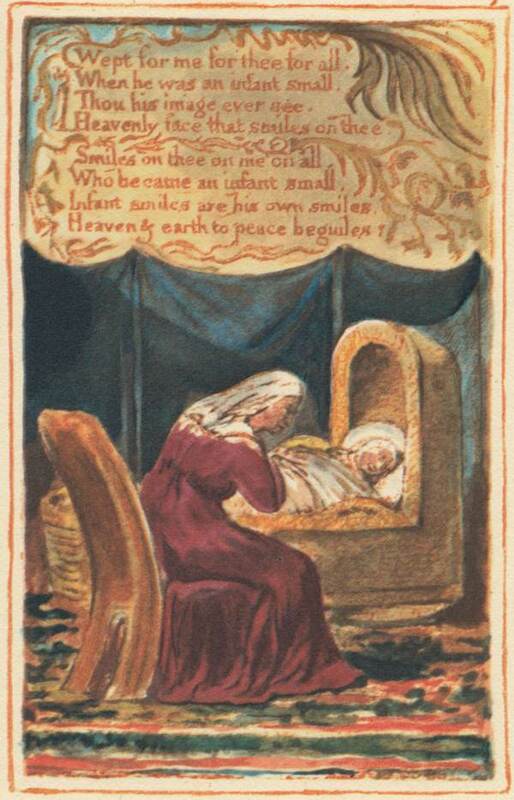 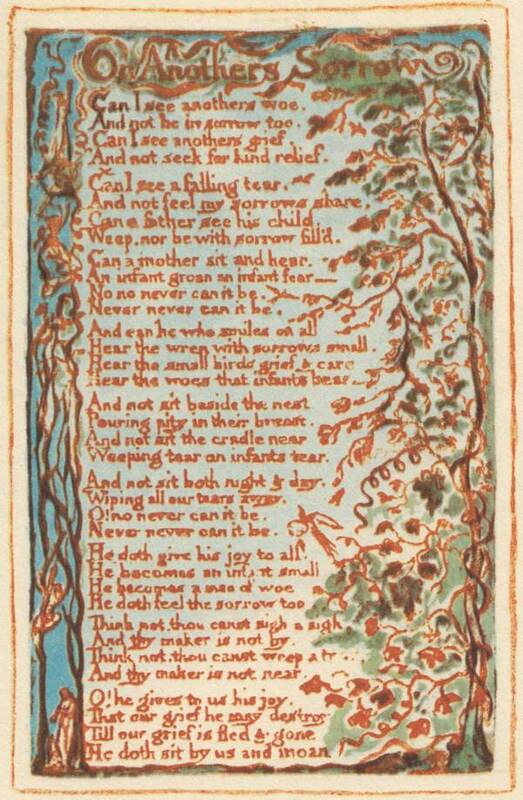 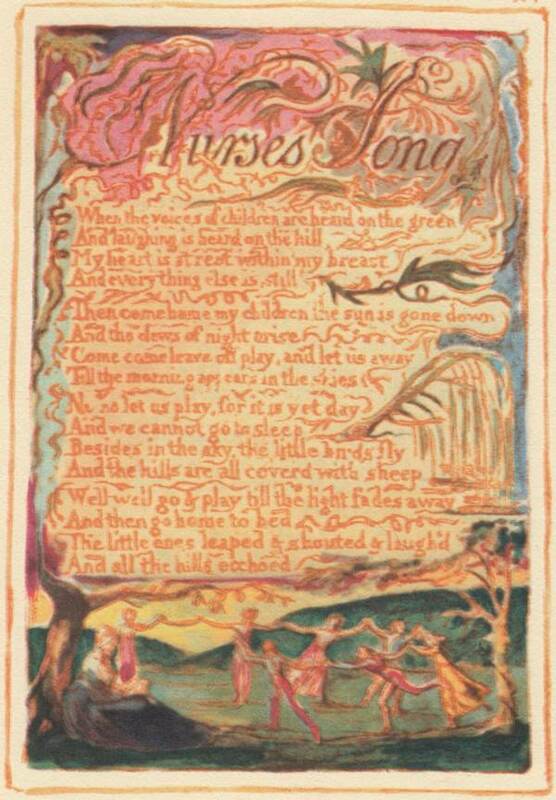 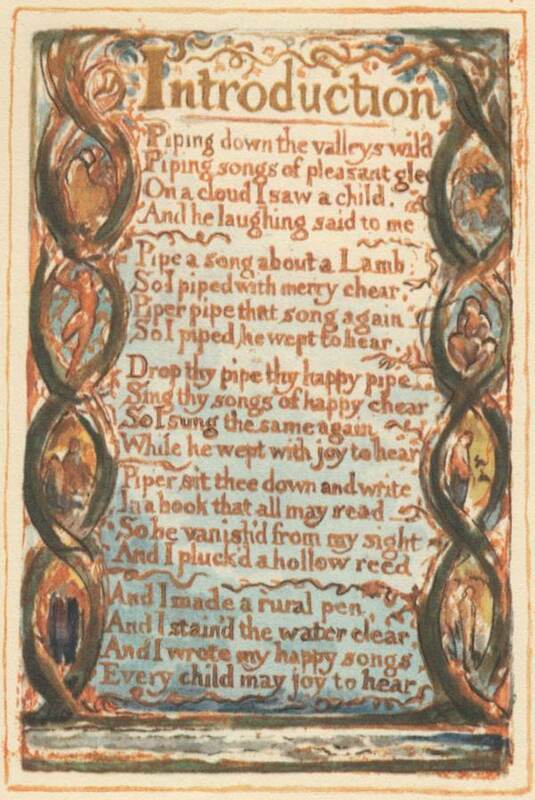 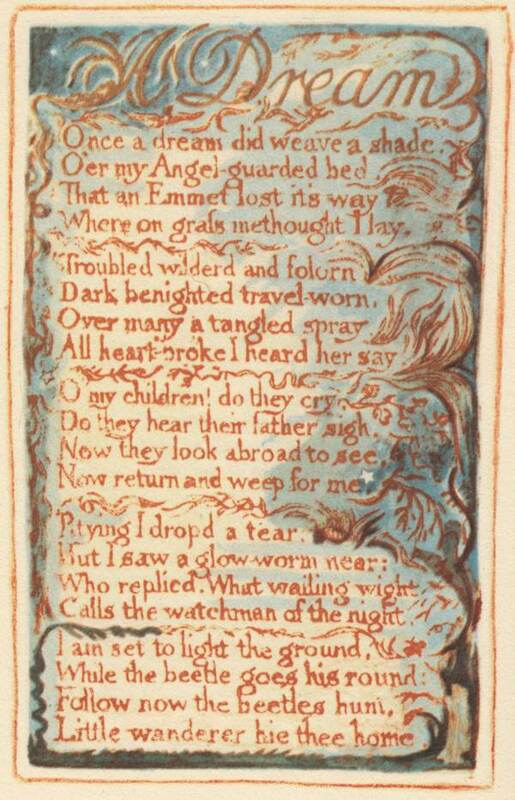 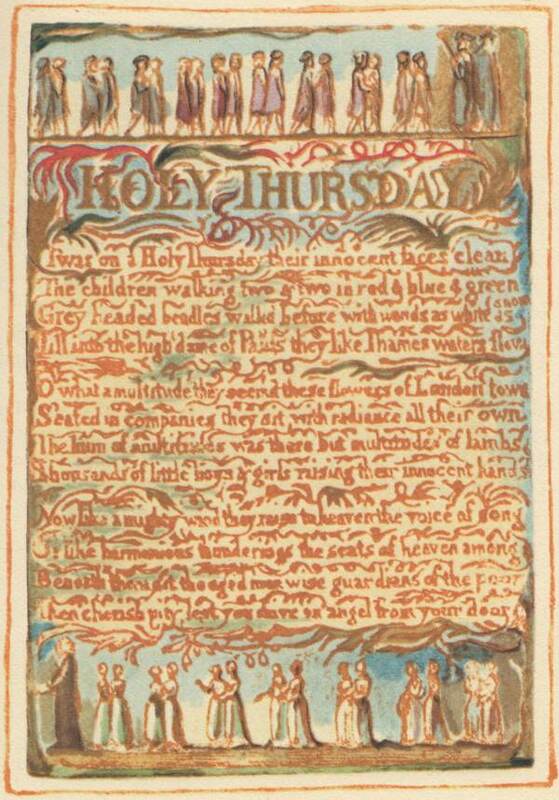 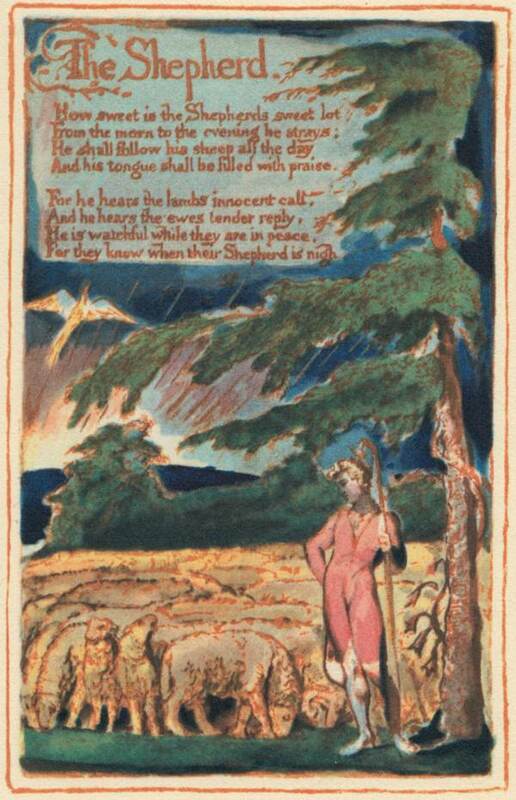 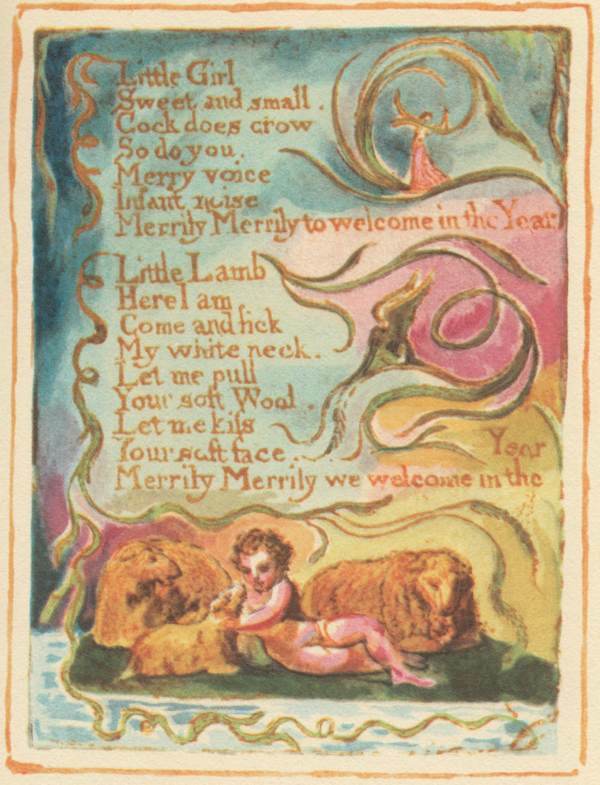 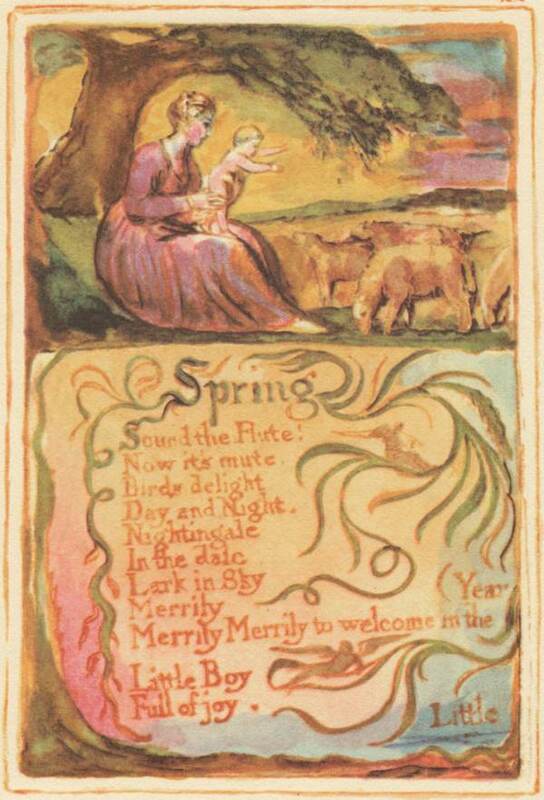 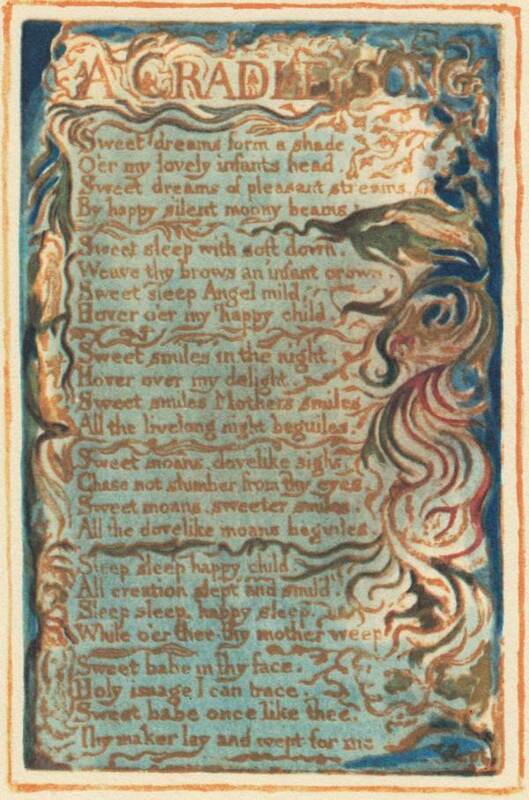 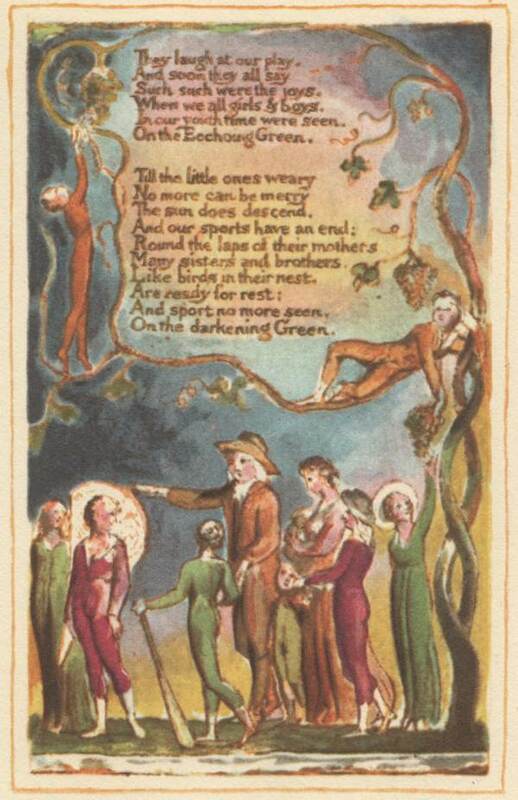 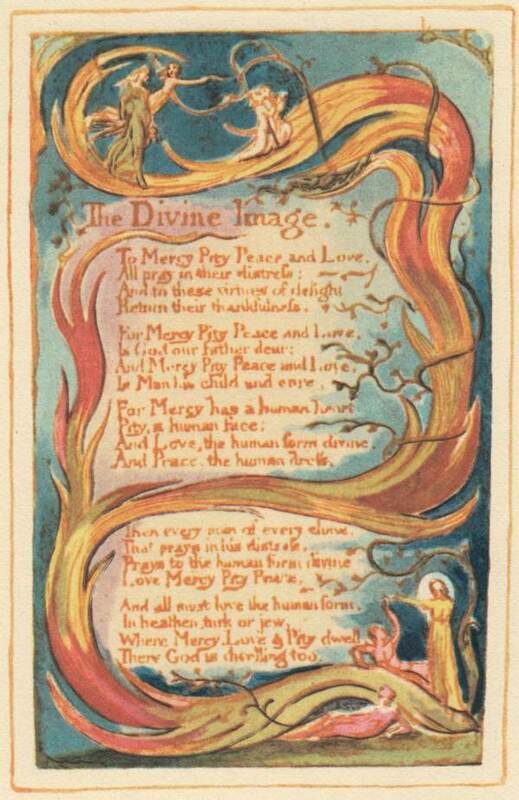 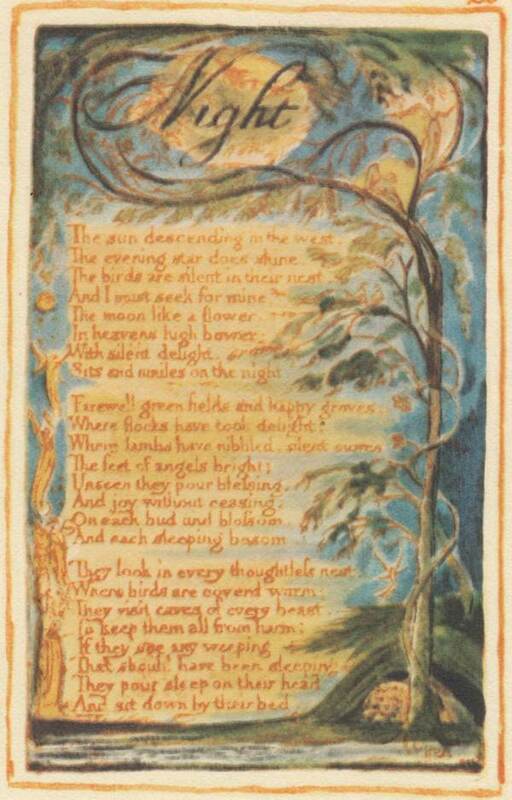 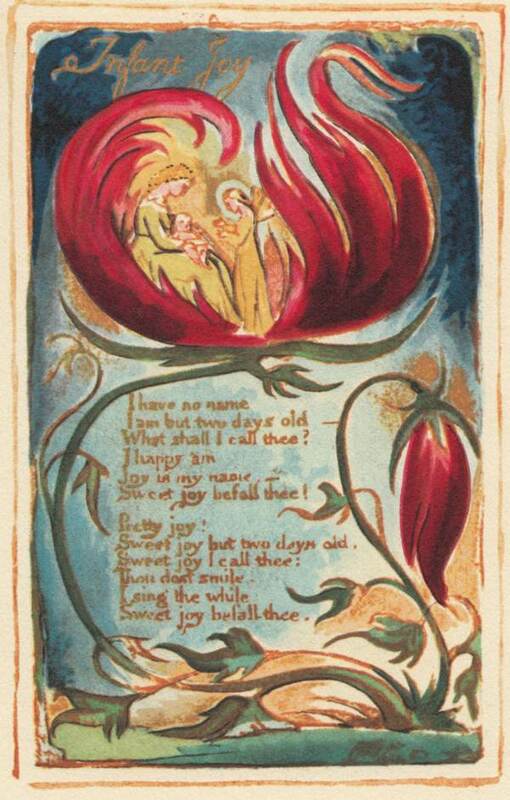 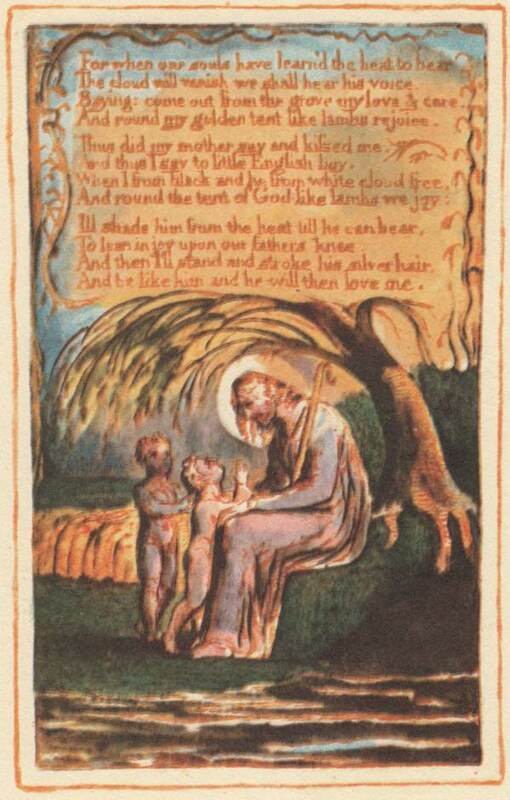 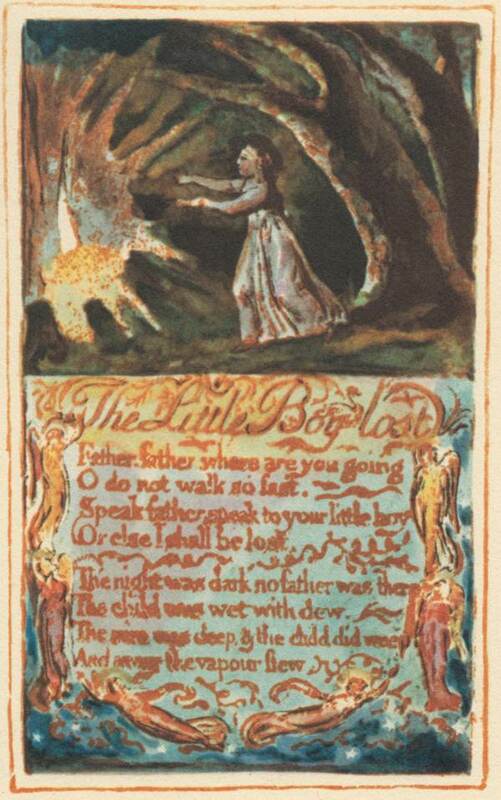 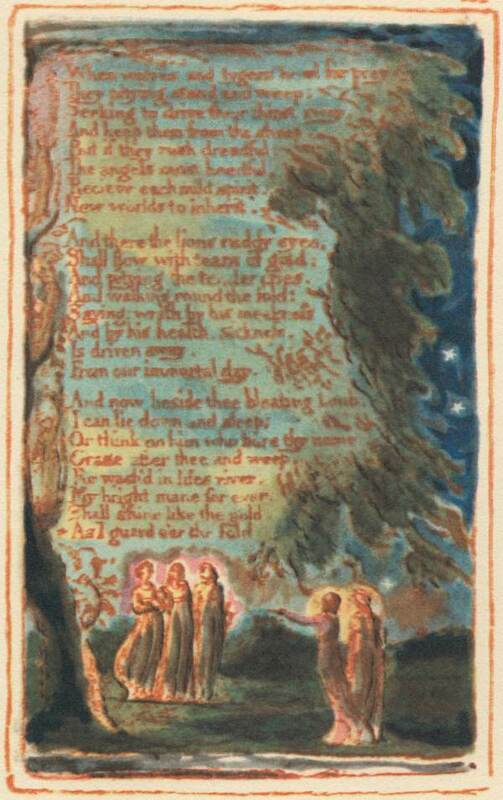 In anticipation of the birthday tomorrow of the beloved William Blake – the greatest poet of London – it is my delight to publish his Songs of Innocence of 1789 today. 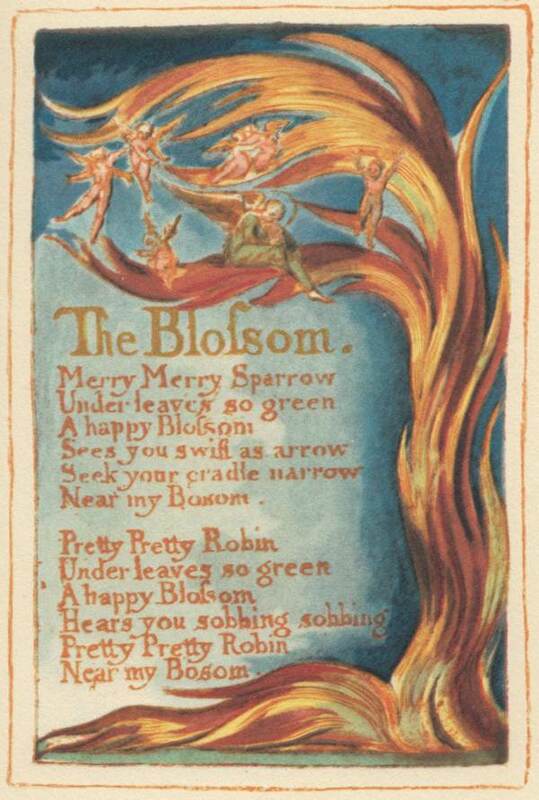 When Blake was developing his copper plate printing technique that would enable him to become his own publisher and be free of the restrictions of others, he wrote, “I must Create a System, or be enslav’d by another Man’s.” So I think we may assume that if Blake were writing now he would embrace the opportunity of publishing his work freely upon the internet. 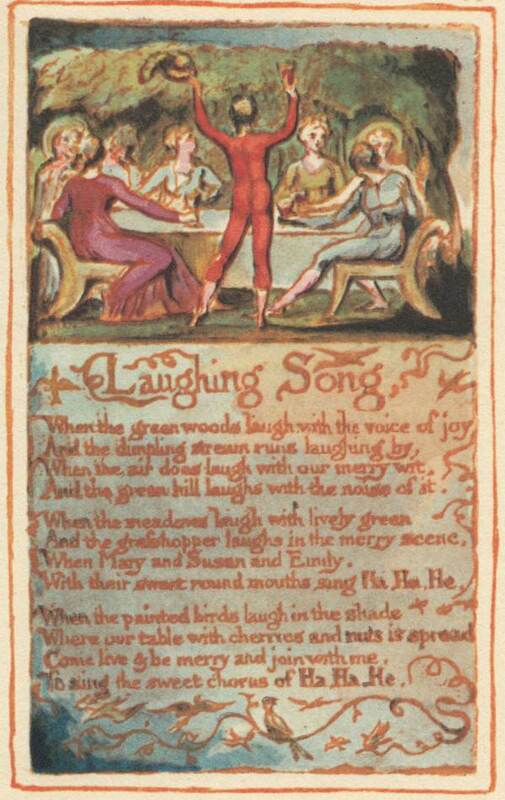 what a lovely surprise , thank you gentle author , mr .blake a real true favourite of mine. 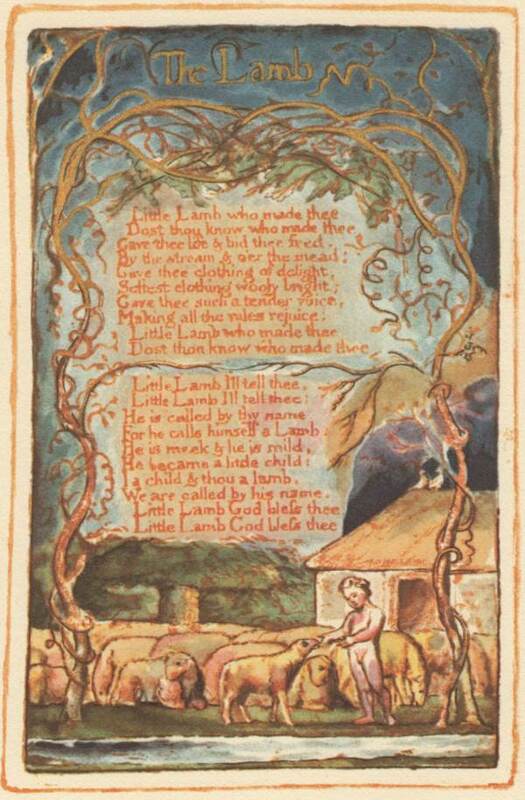 I think he would definately have a blog ,if he lived today. 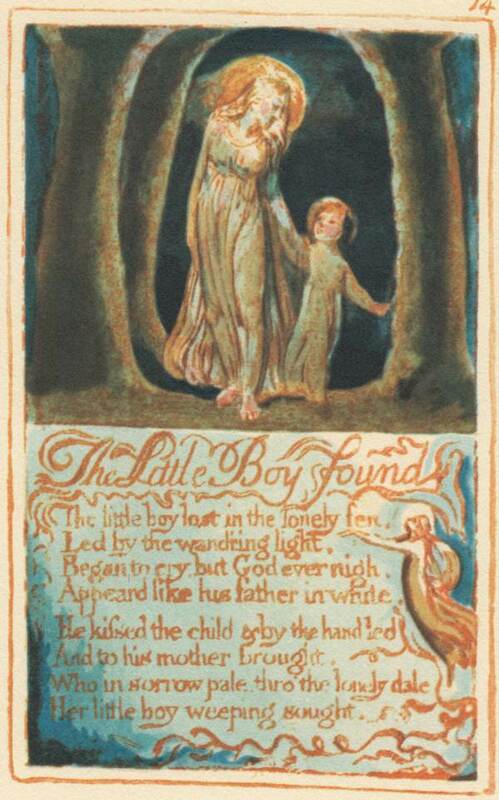 In fact his work comes alive (even more)on screen with the lightbox effect that oocurs when viewing drawings online. 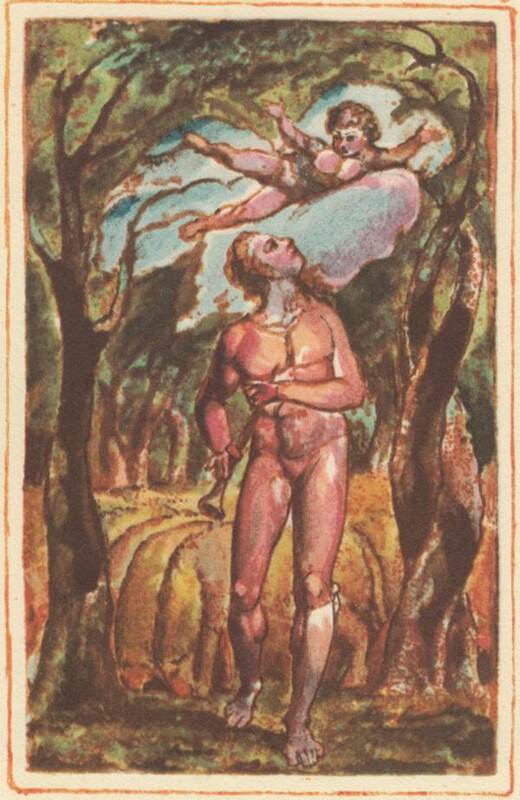 His work was that of a visionary and I am not surprised you like him ,as you are a visionary too. 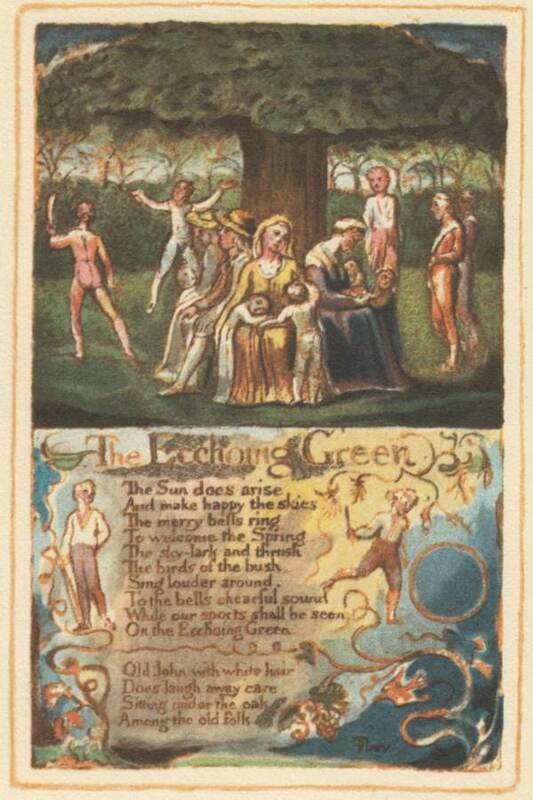 Thank you for putting up these beautiful images, I know it will have taken some time to do it! 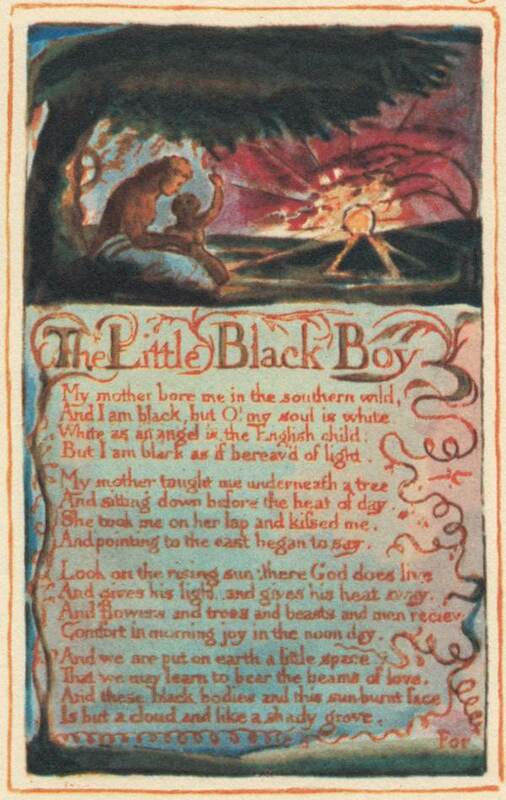 I’m a great fan of Blake and it’s a joy to see so many of these particular illustration in the one place. 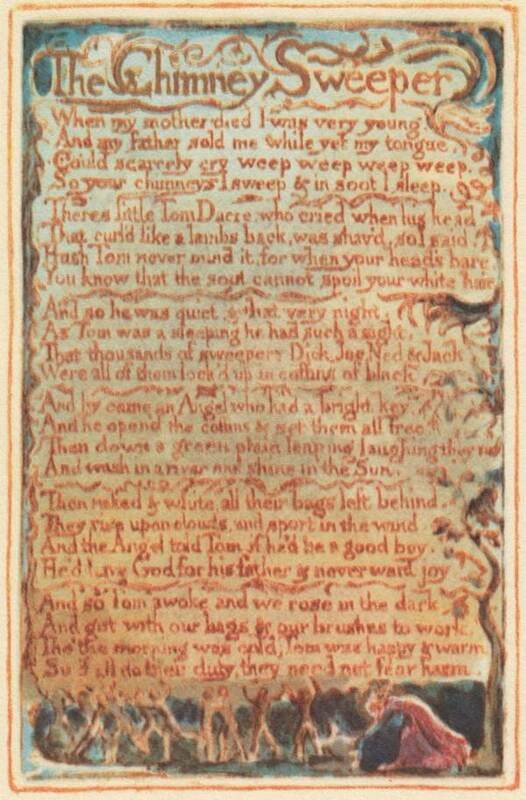 Enjoyed this blog , I have a copy printed in 1899 which is 6cmx7cm ! 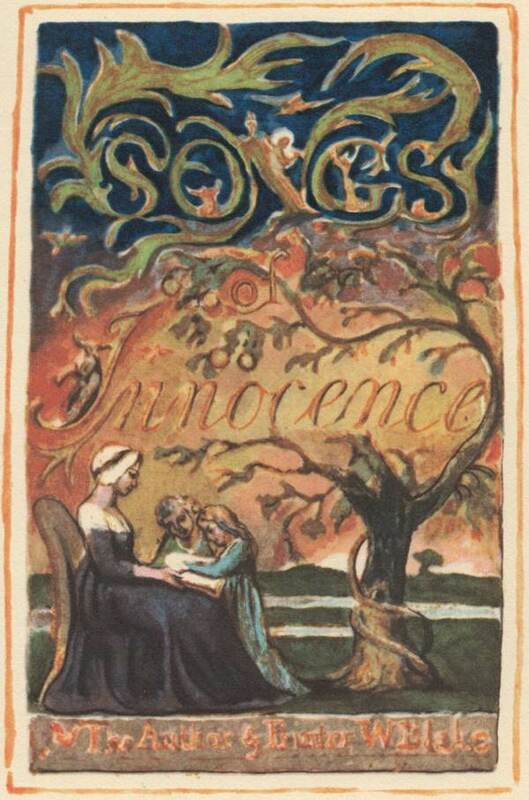 cloth cover,black font on ivory.